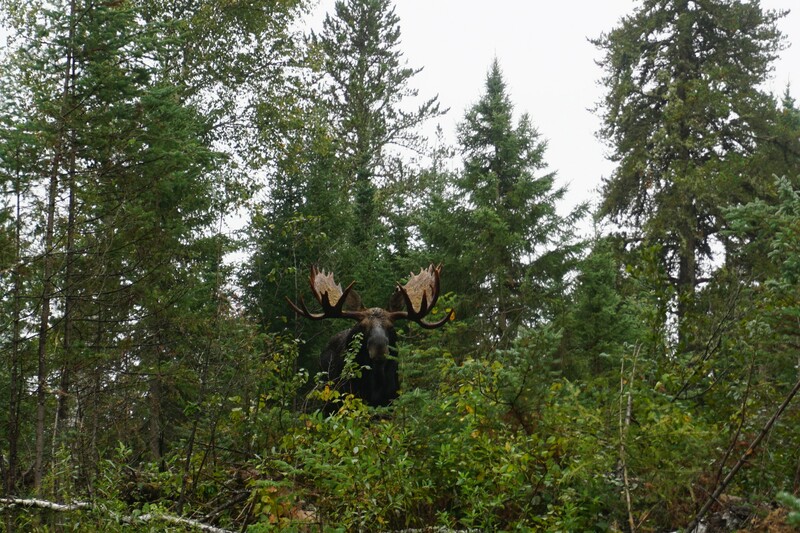 9/23/18- There has been an increase in moose sightings around the Sawbill area over the past few days. Anywhere from the local lakes to the trail itself, they’ve been making appearances. Fall and the cooler temps are a signal for them to begin their rutting cycle. Rutting moose tend to be more active, covering larger areas than normal looking for a mate. It’s an especially good time to observe younger bulls as they try to carve out a more permanent home area for themselves. While out in the woods this time of year it’s prudent to be aware of your surroundings. Rutting moose show less fear towards humans and have a tendency to defend their territory. It’s especially important to keep your distance and be aware of your surroundings. Safe encounters can add that much extra excitement to your boundary waters or superior national forest experience.